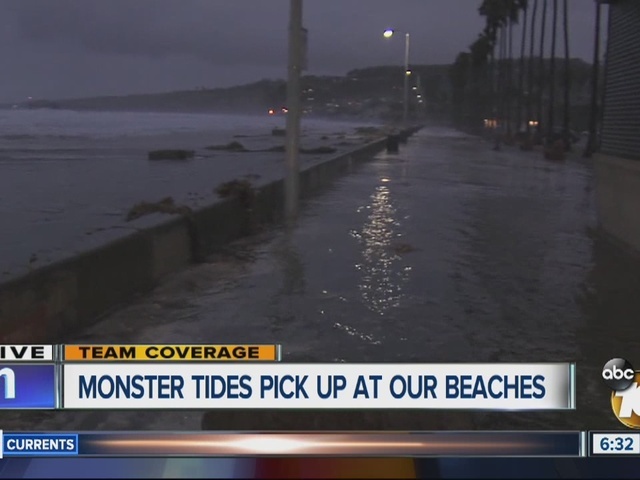 SAN DIEGO – King tides sent water gushing over the seawall and flooded the boardwalk and nearby parking lot at La Jolla Shores Wednesday morning. Lifeguards had to use sandbags to keep the lifeguard station from filling with water. 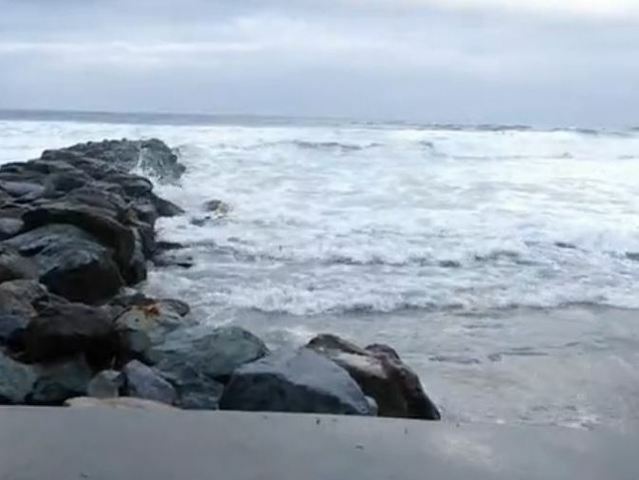 All along the San Diego coast, very high tides each morning through Friday may lead to minor flooding in low-lying streets and parking lots nearby, according to the National Weather Service. A coastal flood advisory will expire at 10 a.m. Friday. The most susceptible areas to flooding are: Oceanside, Cardiff, La Jolla Shores, Mission Beach and Imperial Beach. According to Meteorologist Megan Parry, high tides will reach 7.7 feet Thursday at around 7:42 a.m., and 7.6 feet Friday at around 8:23 a.m. 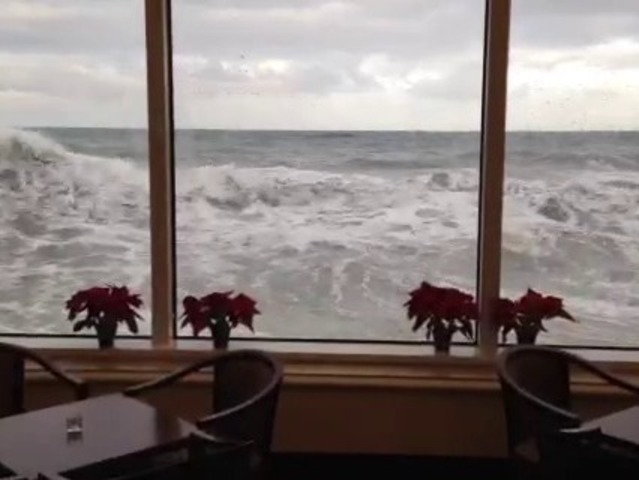 The king tides have returned due to the full moon that will come on Christmas night. It’s the first time there’s been a full moon on Christmas since 1977. The next one will occur in 2034.